New materials, such as steel and reinforced concrete, and modern methods of construction, namely skeleton construction, have allowed the possibility of large areas of glazing. The classic window as simply an opening in a wall was displaced by the glass as a wall element in itself: the glass façade became the epitome of modern architecture. Glass as a buidling material is no longer unthinkable. 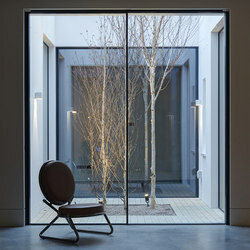 Modern types of glazing offer an uninterrupted view, which blur the boundaries between inside and out. 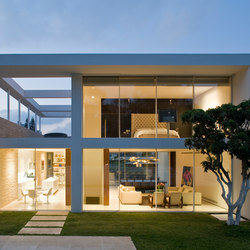 Prerequisites for this architectural transparency are narrow sections and frames, whose limits are continually tested. Panes of glass measuring 3m x 6m are easy to realise these days, but their weight and how they are to be installed call for new systems. Architonic presents some innovative companies who have solid answers. Vitrocsa is a company with headquarters in French-speaking Switzerland, whose guiding principle must be music to the ears of architects who like Modernism: 'Our window sections are derived from our passion for Californian architecture of the 1940s and equally for Modernist architecture.' In projects where Vitrosca windows have been used, it's as if the extremely elegant series of Case Study Houses have been brought back to life. 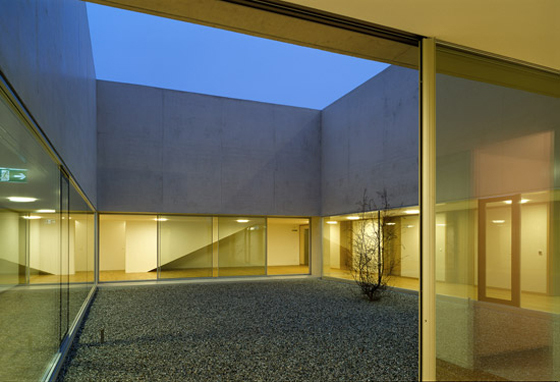 Usually, the framework functions as a structural support for glazing. The glass, structurally speaking, doesn't play a role. 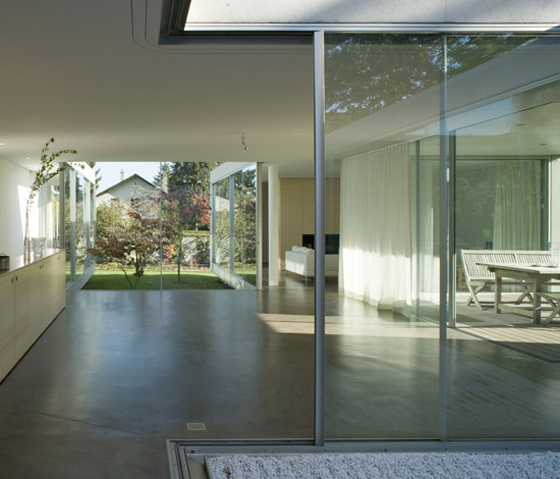 The reversal of this principle makes possible the most minimal of aluminium window frames. 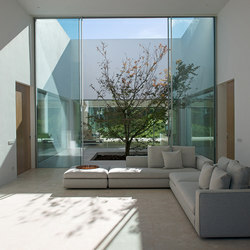 Vitrocsa treats a pane of glass as a building element, which actually supports the whole window structure. The frame functions merely as the tracks along which the panes slide. 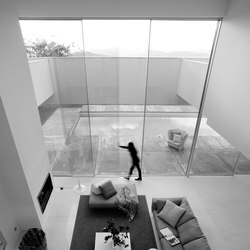 The result are elegant, light window systems. The fact that the surface and the size of the windows can be tailored according to the requirements of the project proves that this product has been developed by architects for architects..
'Guillotine Window' constists of vertically sliding panels. The dimensions of a single panel are limited to 6 square metres, or 4 metres in width. 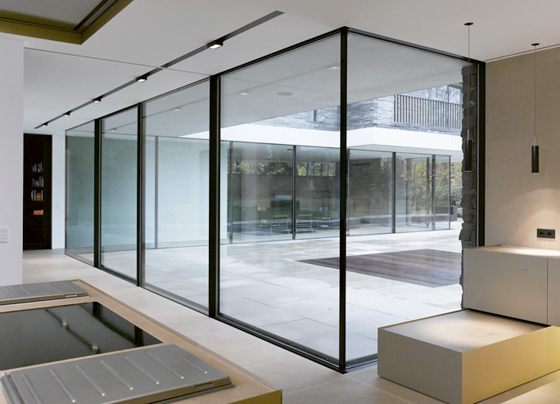 'Pivot Window’ is a glazing system with panels that can be opened. As with all other systems, the aluminium frame can either be left in its natural state or stove-enamelled in different colours. 'Sliding Window’ constists of sliding-door elements, with a maximum height of 4.5m and an area of 6.7 square metres. The filigree-like sections are a mere 18mm thick. 'Monorail’, 'Birail’ und 'Trirail’ are the three window-system offerings from the company Panoramah!, who are located in the west of Switzerland. As the product names suggest, the difference between them is their respective number of rails. 'Trirail's' moveable glass panels can be slid along individual tracks. there is no limit on the number of casements; they can be motorised, and full opening angles are one of the details which are completely mastered. What is more, it is possible to design window systems with up to four rails. All types of glass may be used, with triple glazing giving the system exceptional thermal performance. 'Sky-Frame' windows offer an expansive view of the horizon: the surrounding frame is fitted flush into the ceiling, floor and walls, with only a 2-centimetre-wide mullion featuring where the panes overlap. Fixed and sliding elements on up to five rails can be combined up to a height of 4 metres. With 'Sky-Frame', corners are construction without the need for vertical beams – it really creates the impression of a floating ceiling. The insulating glass elements, edged in fibreglass, are thermally separated throughout for optimal heat insulation, and are certified as energy-saving. 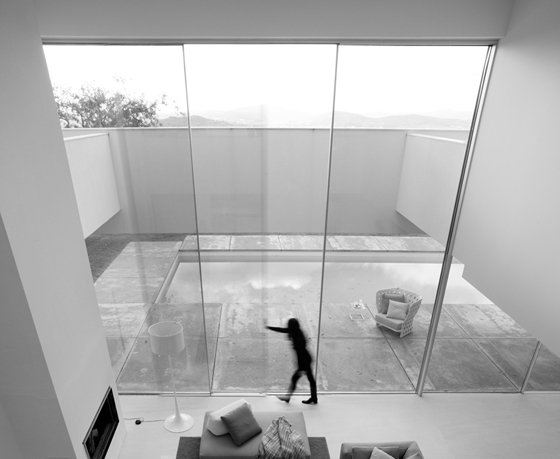 'Sky-frame' windows can be opened and closed almost silently by means of a remote control. 'Fix Frame Blue Vision' is the name of a total glazing system by Josko. What makes it so special? Windows, patio doors and sliding doors are completely flush. 'Fix Frame Blue Vision' has a maximum height of 3.2 metres, while 'Fix Frame Blue', also from Josko, is a more economical version of the visually frameless system with a maximum height of 2.6 metres. The systems presented above really do make the vision of such modernist architects as Mies van der Rohe, Richard Neutra, Le Corbusier, Rudolph Schindler among many others a reality. 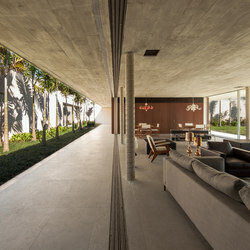 The complete dissolving together of interior and exterior space has developed from a particular project-specific solution into an adaptable ready-made system.